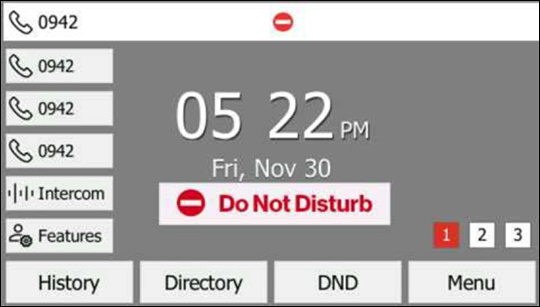 From the Home screen, press the DND soft key to enable or disable. 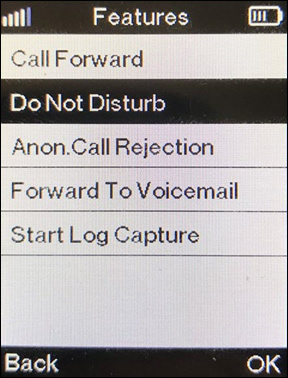 When enabled, 'DND' displays in the top right corner. 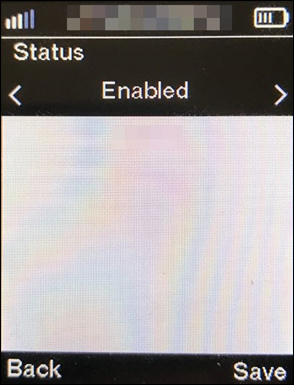 When enabled, 'DND' displays on the screen. 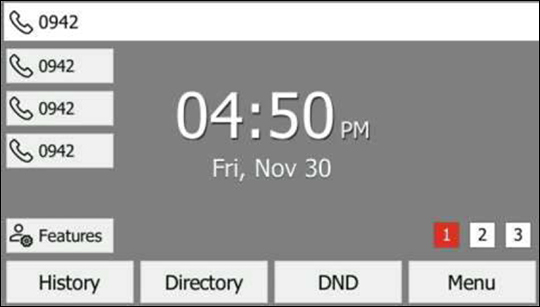 From the Home screen, tap DND to enable or disable. 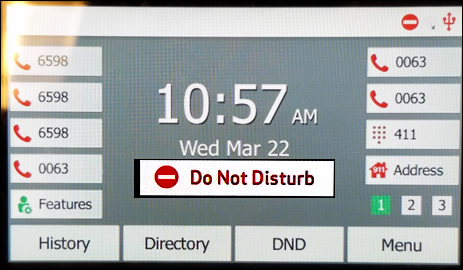 When enabled, 'Do Not Disturb' displays on the main screen. 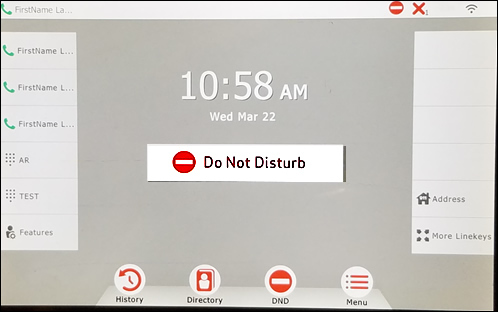 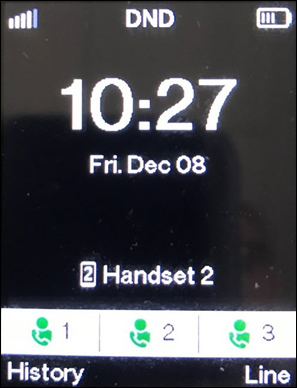 When enabled, 'Do Not Disturb' displays on the main screen..
From the main screen, press the Navigational button (located in the middle) on the W56HV Handset then select Features. 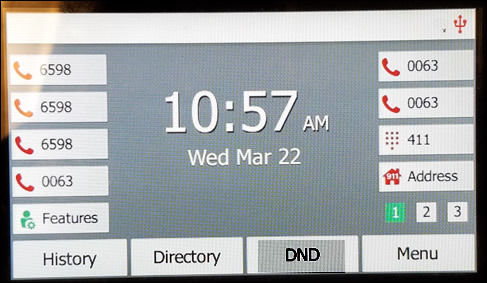 Select Enabled then press the right soft key to Save. 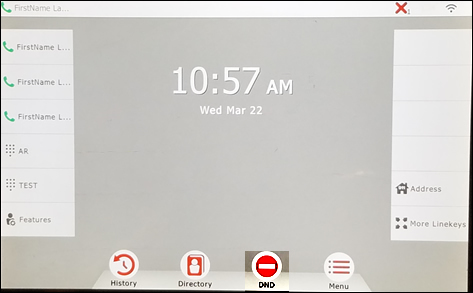 When enabled, 'DND' displays on the main screen. 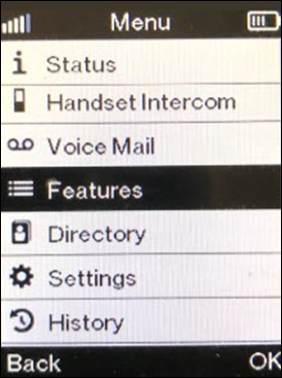 When enabled, 'DND' displays in the upper-right corner.